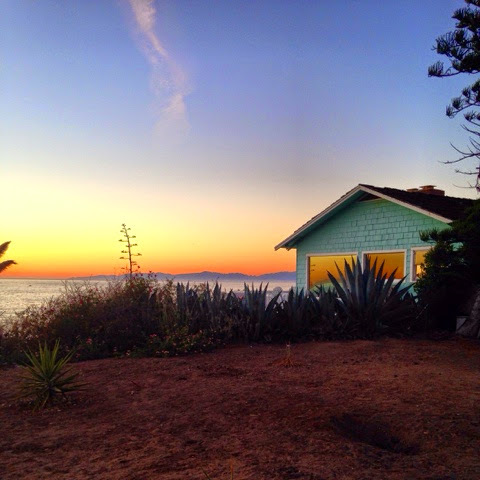 We are in Southern California for the weekend ..I took this photo at Redondo Beach .. Love the reflection of the sunset in the windows of this house ! 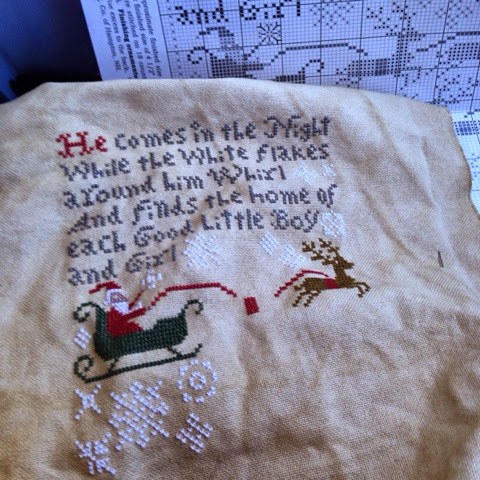 I stitched my way from Illinois to California on this Prairie Schooler Christmas piece ..loving this design! I hope to start my Christmas posts this week since I am almost finished decorating ! 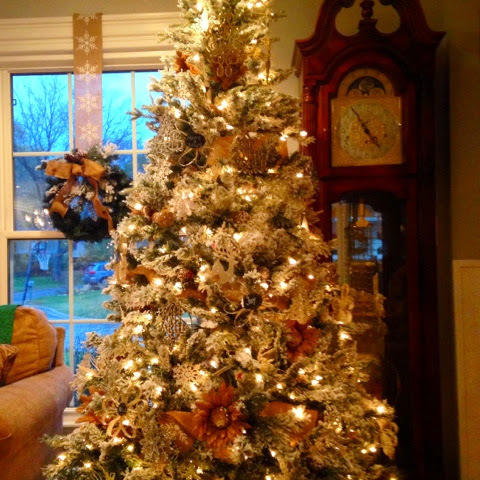 This flocked tree came to live at our house this week.. Love flocked trees :) so that meant we had to move a tree that was already decorated since this one was too big for the dining room! Have a great Sunday ! Lucky you in sunny California. I love that PS also. Can't wait to see all the decorating! California looks wonderful! We bought a flocked Christmas tree last year and I absolutely love it..enjoy the rest of your vacation! I love your new Prairie Schooler stitchery piece.. Your home is going to be a Christmas "wonderland", I can just tell. You have beautiful pieces to display.. I love Fitz and Floyd too. Don't have any but have see many lovely pieces.. Very nice to collect..
Lost my computer for a while but am back to try to keep up with all of your festive décor..
Good grief, you did all this decorating AND traveled? ?/ You are wonder woman!! !